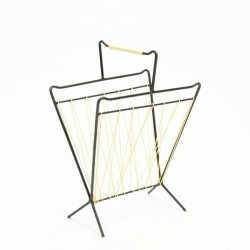 Vintage newspaper rack from the sixties. 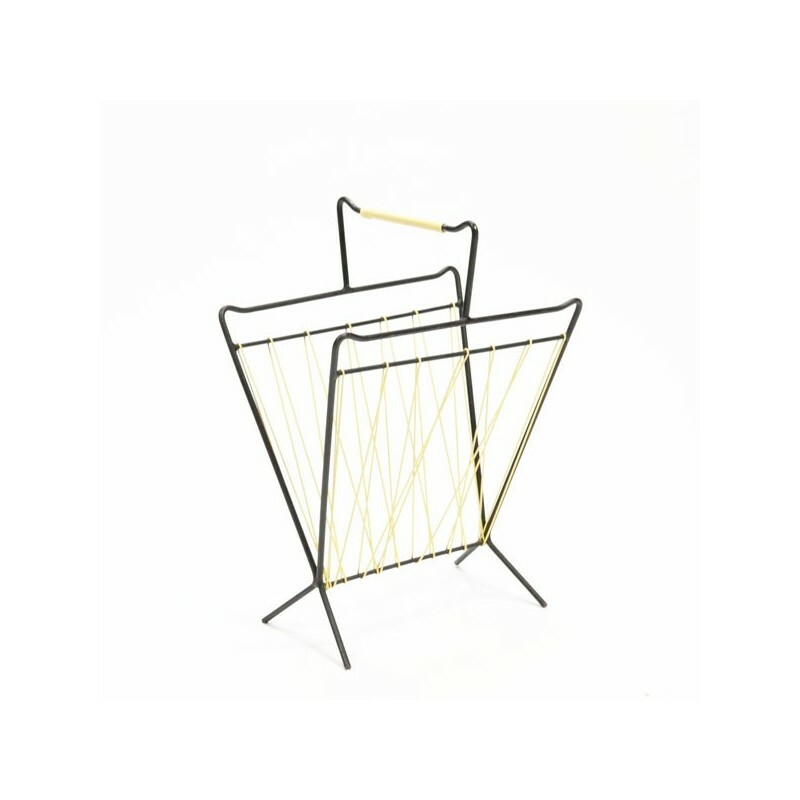 The rack consists of a black metal frame and yellow colored plastic. The condition is fairly good considering the age, slight traces of use, see detailed pictures. 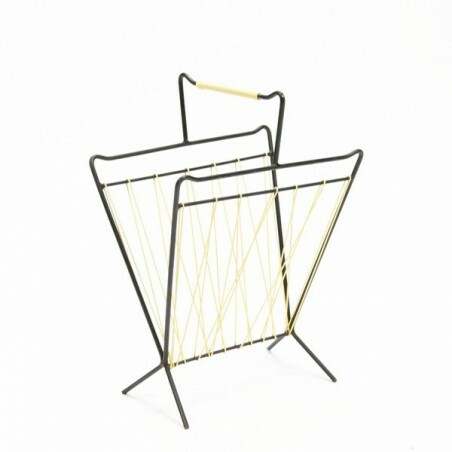 The size is 37 cm L / 26 cm W / 52 cm H.